Earlier today, Double Eleven, the developer behind the Xbox 360 and Xbox One ports of Goat Simulator, announced that the game would be making its way to the Playstation 3 and Playstation 4 on August 11th, 2015. The studio also went ahead to announce GoatVR, a virtual reality mode coming to Goat Simulator but they did not give us any detailed information about it. 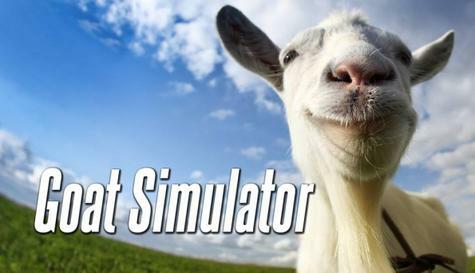 For those of you who may not be familiar, Goat Simulator is exactly what the name suggest. Players control a wild goat and your mission is to cause as much destruction as possible in the open world around you. I have only played the game for an hour or so but the game is interesting to say the least. Goat Simulator was released for the PC in April of 2014 and a little over a year later, it was ported over to the Xbox 360 and Xbox One. The Playstation 3 and Playstation 4 editions of Goat Simulator are very similar to the Xbox 360 and Xbox One versions of the game. The Playstation 3 version of the game offers local co-op play with up to two people while the Playstation 4 version of the game can accommodate up to 4 people in one local co-op session. The GoatVR mode which I talked about earlier seems to be a Playstation exclusive feature as of now. Double Eleven said this in their announcement. We’ve been working on GoatVR for some time, and we’re pleased to debut it in the Playstation editions of Goat Simulator. GoatVR is the most authentic “simulated GoatVR experience” that doesn’t require a helmet or anything. Although it’s not quiteready yet we felt it better to stay ahead of the crowd and let it out into the wild. What do you think? Are you excited to see Goat Simulator heading to the PS3 and PS4? Leave your thoughts below!